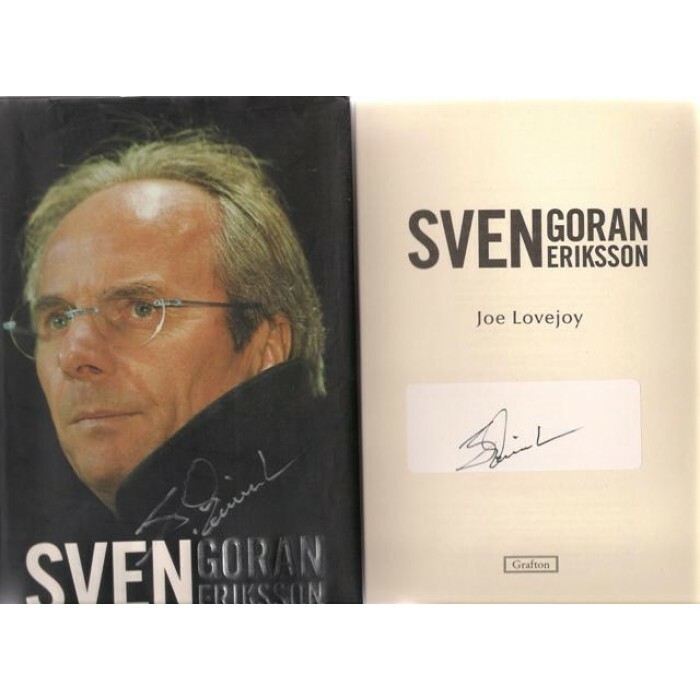 Signed book by former England football manager Sven-Göran Eriksson. 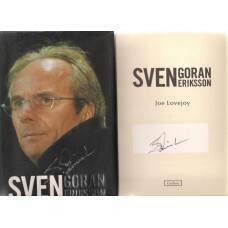 Home » Signed book by former England football manager Sven-Göran Eriksson. Sven-Göran Eriksson Book. This is a hardback book written by former England national football team manager Sven-Göran Eriksson. The book is entitle SVEN Goran Ericsson. This book was published in 2002 and is hand signed to by Sven in two places, once on the dust jack in silver marker pen and the other is in fine black marker pen on the inside title page on a label. The book itself is in good condition, with all pages present and no creases. The dust jacket is also in fine condition with no worn patches or tears. £8.00 Sven won 17 major trophies as a manager, with a variety of league clubs in Sweden, Portugal and Italy, between 1979 and 2000, and became the first manager to win league-and-cup doubles in three different countries. He later managed the national teams of England, Mexico and Côte d'Ivoire, and two clubs in England. Following the resignation of England manager Kevin Keegan, Eriksson turned round England's bid for qualification for the 2002 FIFA World Cup, with several crucial wins over lesser opposition before his first real test, England's rematch with Germany in Munich on 1 September 2001. England crushed their long-time rivals 5–1. Despite this England still needed a late equalizer at home to Greece to qualify automatically, and England's initially strong performance in the 2002 World Cup (when in a group stage with Nigeria, Argentina and Sweden) finals culminated in a 2–1 quarter finals loss to 10-man Brazil, who went on to win the tournament.